After the drain of the US Open, physically, mentally, and emotionally, Roger Federer committed to playing this weekend against Australia. That called for a long flight from New York to Sydney, with a short stop in Dubai. 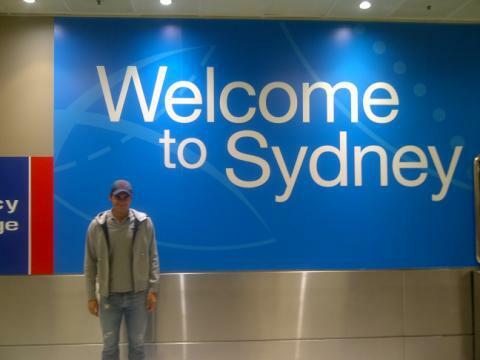 Roger landed in Sydney a little earlier this week and must prepare quickly before the Swiss take on the Aussies on grass at the Royal Sydney Golf Club. The draws have been picked and Stan the man, Stanislas Wawrinka, will take on Bernard Tomic in the first rubber. 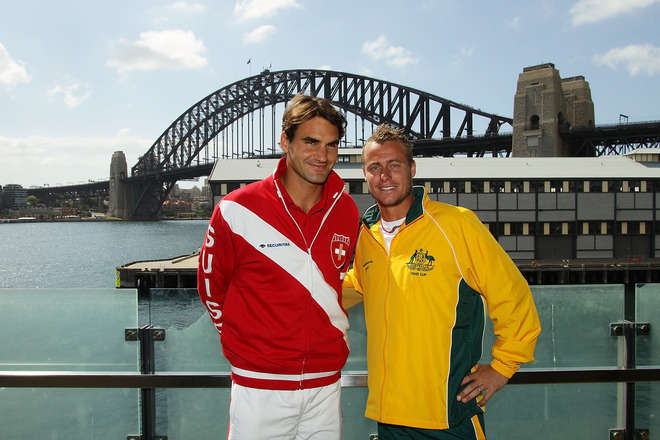 The second rubber will be a match-up reminiscent of the classic days in 2003: Roger Federer vs Lleyton Hewitt. The two great champions toured downtown Sydney with the rest of the squads. Play begins Friday. You can tune in to watch every Davis Cup match, including other countries in action, with WatchTennis on FedererFan07. Practicing and in the middle of preparations, you can see the fans in Australia absolutely love Roger, and are ecstatic that he made the long journey to play. For more photos, visit and add FedererFan ZeroSeven on Facebook.